In the end, to Barisan Nasional (BN) and Barisan Alternatif (BA), it boiled down to a race in Lunas when nominations for the by-election on Nov 29 closed yesterday. Of the three candidates, one is from MIC, another a former MIC member as independent, and the third a Malay. It is MIC versus Keadilan in a constituency in which the Indians are 20 per cent, the Chinese 37 per cent and the Malays 43 per cent of the total 26,746 voters. For the BN, it is a ‘traditional' Indian seat and an MIC candidate it would be. But Kedah Mentri Besar, Syed Razak Syed Zin, wanted an Umno candidate. The MCA and Gerakan had a spat of their own on who should bring out the Chinese voters. The DAP, miffed that its Indian candidate is pushed aside for a winnable Malay candidate from Keadilan, threatens to pull out from the fledgling Opposition front, dissociates itself from the campaign, and its deputy secretary-general, an Indian, resigns his post. There are two issues at stake in this by-election, after its state assemblyman Dr Joe Fernandez was murdered, one which will rebound on how politics is played out in Malaysia. This election will decide, for the Malays, if Umno, which insists it needs two-thirds of seats in Parliament and in each state assembly it controls to govern, can continue to be supported. If BN is defeated in Lunas, it loses its two-thirds majority in the state assembly in a Malay-dominant state. It returned 23 state assemblymen without Lunas, and the opposition 12. It must be returned in Lunas. If not, by its own yardstick, it loses its Malay mandate in the Malay state of Kedah. The second is more serious - the fewer non-Malay Members of Parliament and state assemblymen when Malay power is at stake, as now. So, more than Sanggang and Teluk Kemang, Lunas, like Florida in the United States presidential election, could force a political rethinking. Kelantan does not have any Chinese left in the state assembly. Perlis has two, but they're there under Umno sufferance. Several non-Malay BN MPs would not be there if Malay Opposition strengthens as now. The MCA and Gerakan writ does not run in the urban, Chinese-majority seats, and it is returned, often, from Malay-majority constituencies. In no constituency in Malaysia is there an Indian-majority constituency - in state or parliament. The three candidates when nominations closed yesterday were S Anthonysamy, 59, from MIC, Saifuddin Nasution Ismail from Keadilan and N Letchumanan, an MIC-clone independent. But the Chinese decides. The Indian, by and large, is loyal to the MIC, but as Teluk Kemang showed, this is not enough. The Malays are sullen, angry, confused, even hostile to Umno over the fratricidal quarrel of their patriarchs, Mahathir Mohamed and Anwar Ibrahim. In Sanggang and Teluk Kemang, they cast their vote for the opposition Malay candidate; the Chinese voted the BN in, and make the difference in Lunas. The firm BN-determined ground shifts, and badly. The old shibboleths do not word, and with it the once-cast formula for racial peace. This must be reargued. Not reaffirmed. Racial harmony cannot work on demands cut in stone. It must be re-evaluated and changed with the times. Nor can it be imposed, as the BN has all these years, by fiat. That works only with the whip; when that falters, so does what it kept in place. It is this that gives the edge to the BN in this poll. The Chinese, however unhappy and angry they are with the BN, would prefer it for the stability it brings to let them do what they want. Now the stakes are higher. It is a narrow, short-term, view that can redound in a larger cauldron later on. 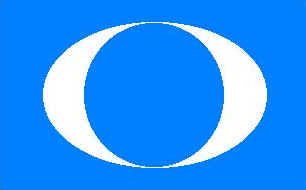 Because of what Lunas represents, voting out the BN brings them into greater conflict with the government. That is why Lunas would be another cliffhanger. If the BN wins, it would, as viewed now, be returned with a smaller majority; if the BA, by a larger.